Around the world, we follow the different type of formats in the numbers (integer or decimal).Example in Europe, The decimal separator is comma (,) and the group separator is dot (.). Where as in Asia, it is entirely opposite. In the development area, Specifically in Microsoft, It handles by the region settings (Technically by Culture).It has default format. But sometimes we need beyond that level. 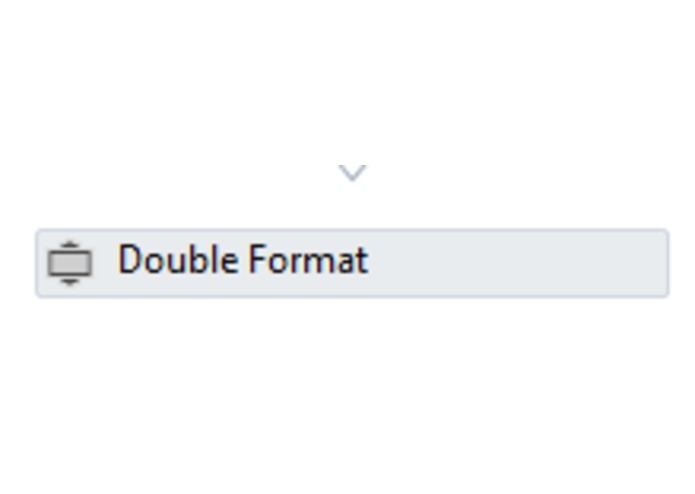 It could be any formats and separators. 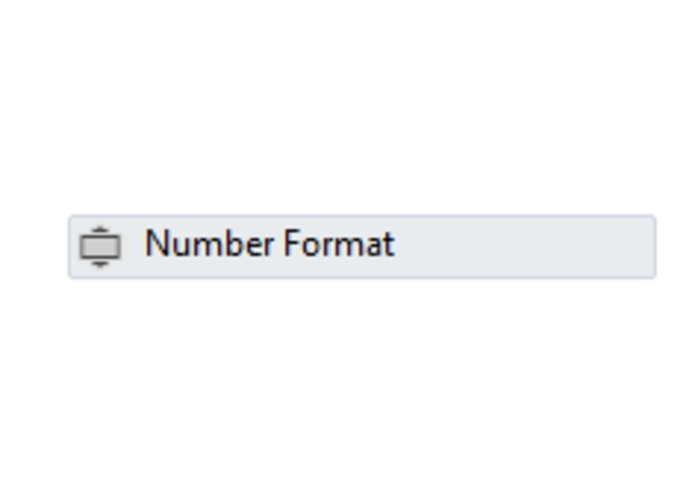 I have developed the package with activities called Format Number Activities. It solves the problem of the above situation. Below the activities details. 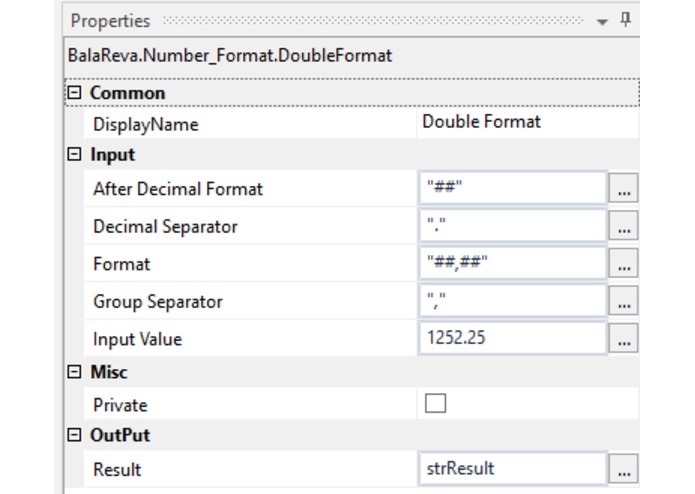 Double Format – Converts the double value of this instance to its equivalent string representation which is specified in the format property. 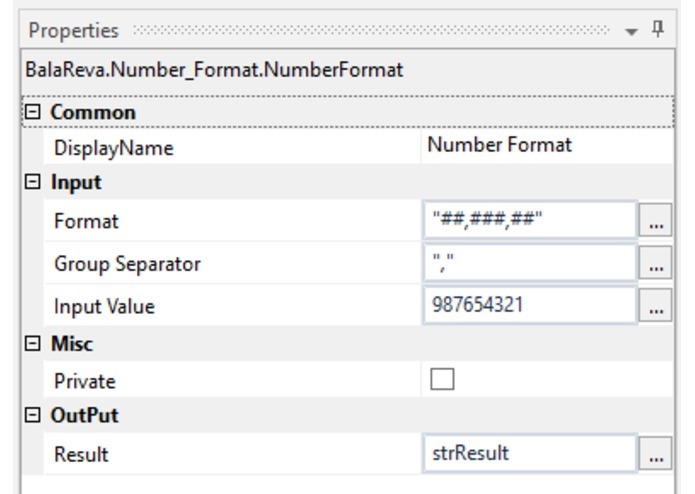 Number Format – Converts the integer value of this instance to its equivalent string representation which is specified in the format property. Can able to provide the decimal separator Whatever you want like (comma or dot). 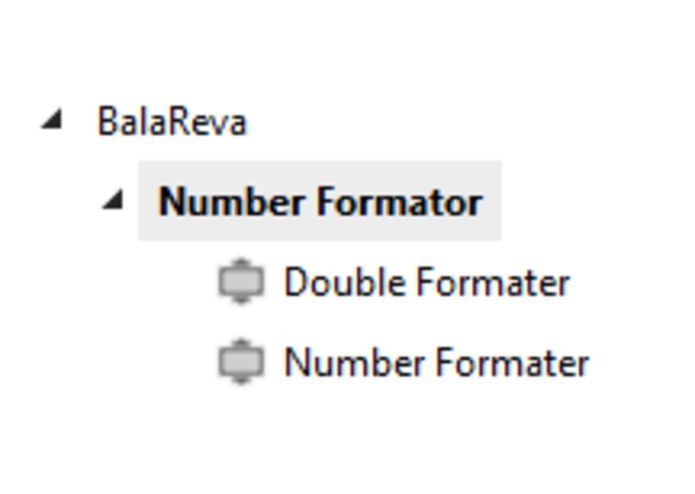 Before the decimal separator, can able to specify the format of the double by hash (#) separated by comma (##,###). Can able to provide the group separator Whatever you want like (comma or dot).